Pirates beat the CHICAGO Cubs. Meet Sculpture Artist Dominique Scaife. Here she is with her award winning sculpture, Burgh, at Pittsburgh Society of Artists Da Burgh Show (Images of Pittsburgh) at Framehouse and Jask Gallery in Lawrenceville through June 30th. On the way home from the airport. Steve had picked me up. We stopped by the North Shore. I’d just come from almost 70 degrees weather is Arizona and the winter city at dusk was such a contrast. 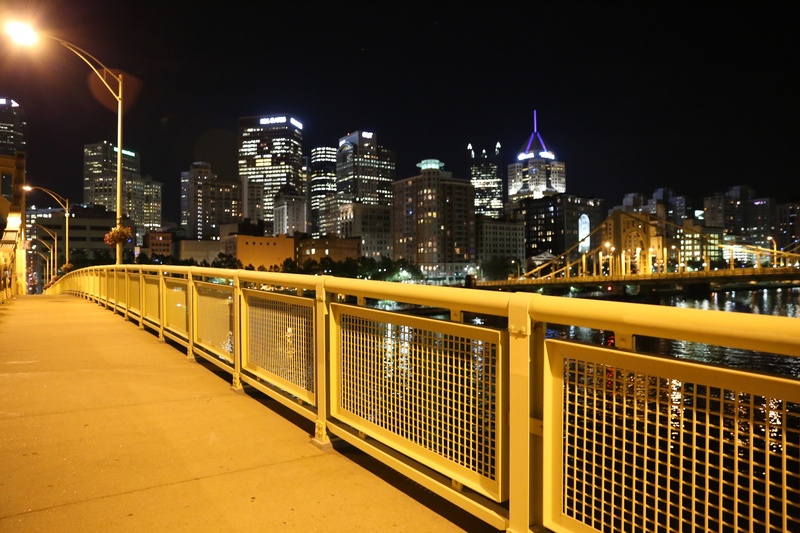 Lone jogger on the trail along the Allegheny River. 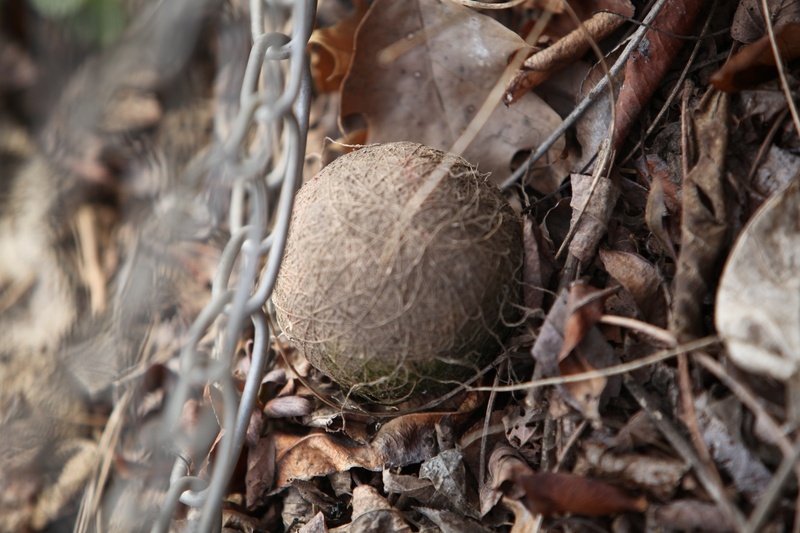 Boundaries. Some people have none. Keeping in her lane at the swim meet. Finding the turtle soup sign. Taken by Anna. I was driving. 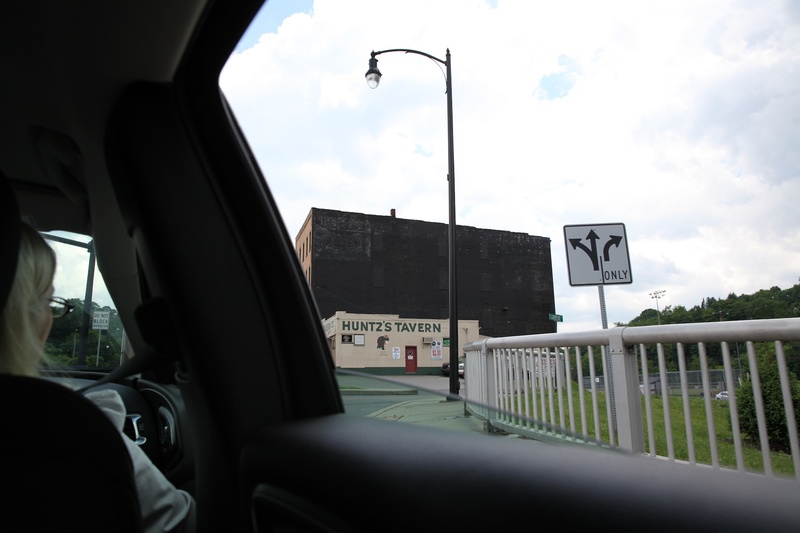 Ninth Street Bridge. Allegheny River. The night before the Pickle Festival. After the swim meet. 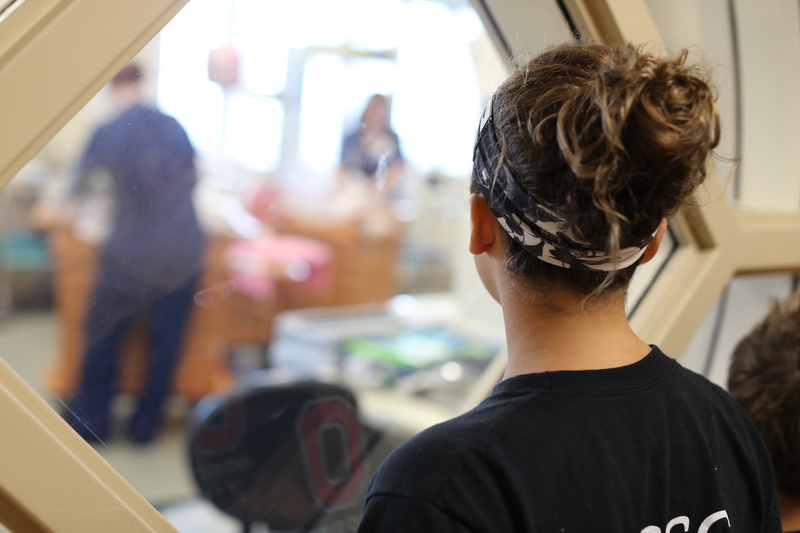 Anna and Michael ooking through the nursery glass window, watching their first first cousin, Charlie. 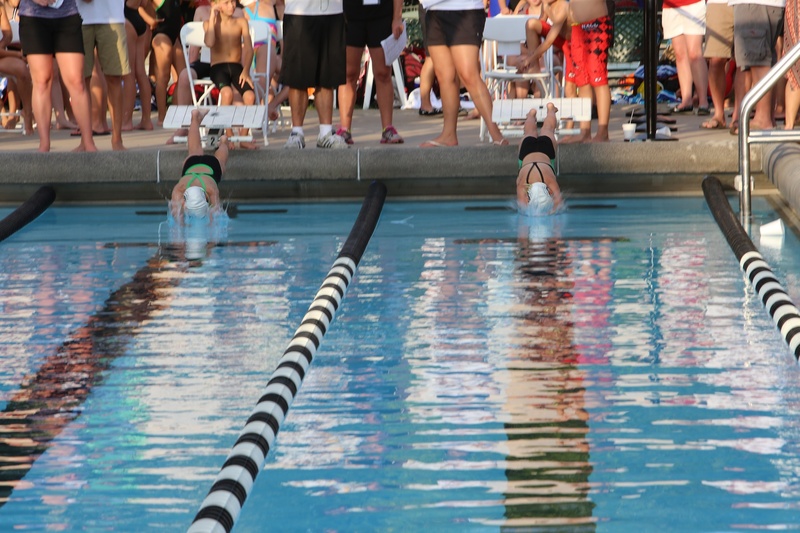 Maura (r) dives off the block into her lane. 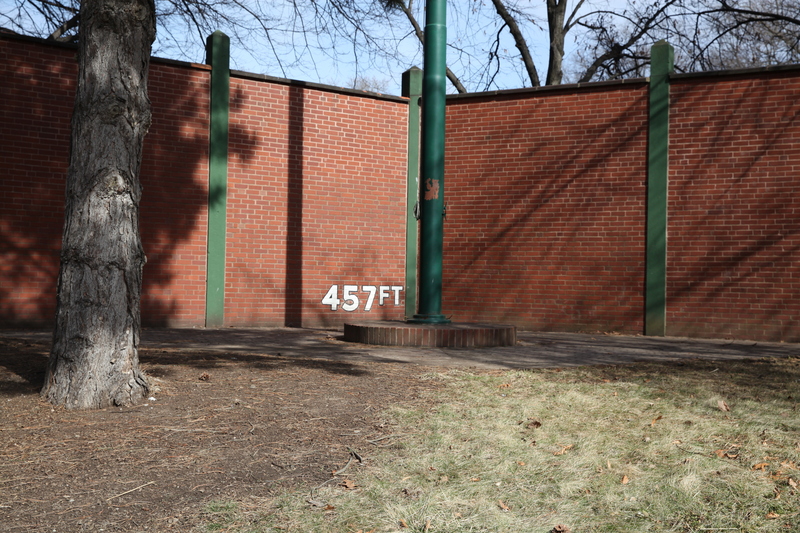 Forbes Field Wall where Pittsburgh Pirate Bill Mazeroski hit his famous homerun to win the 1960 World Series. 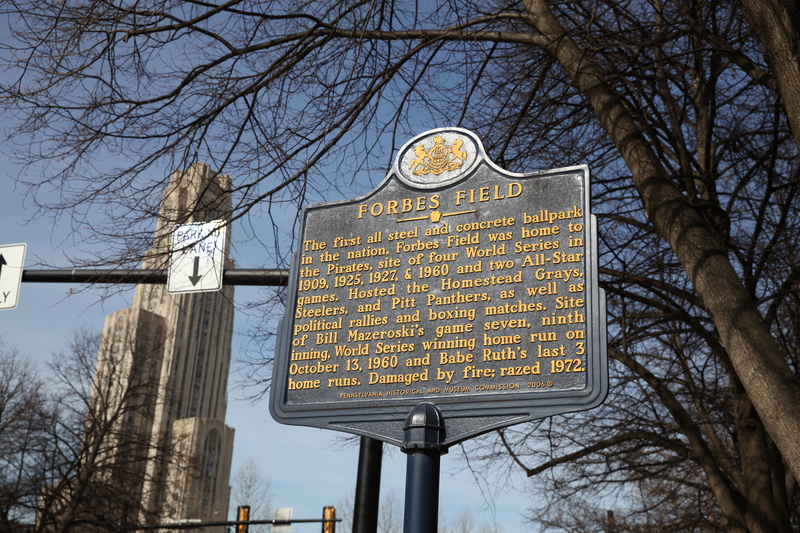 A very special wall– Forbes Field. 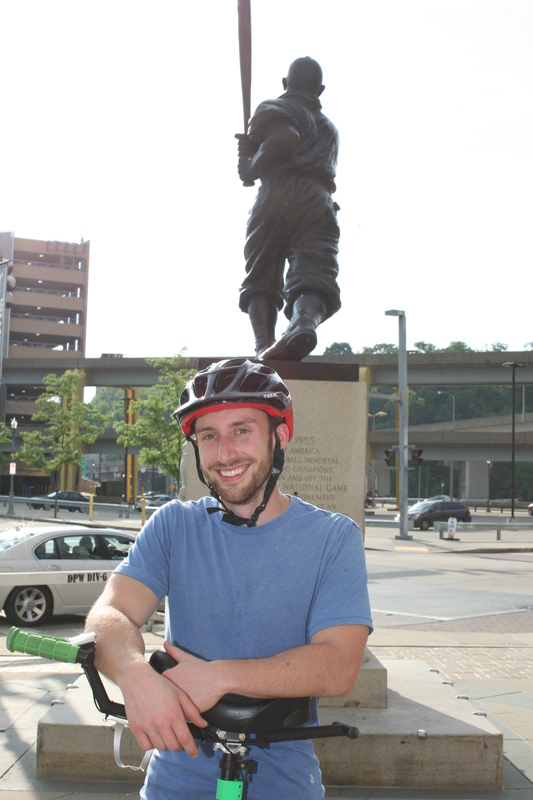 -but the wall where the1960 World Series was won by Bill Mazeroski’s homerun stands. 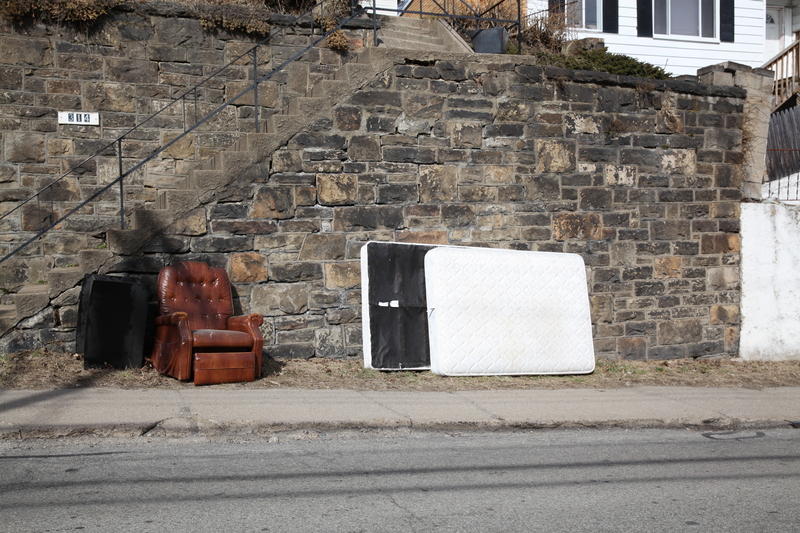 And the retaining walls of Pittsburgh are featured prominently in Rick Sebak‘s excellent video 25 Things I Like About Pittsburgh available for viewing on Youtube for a short time. 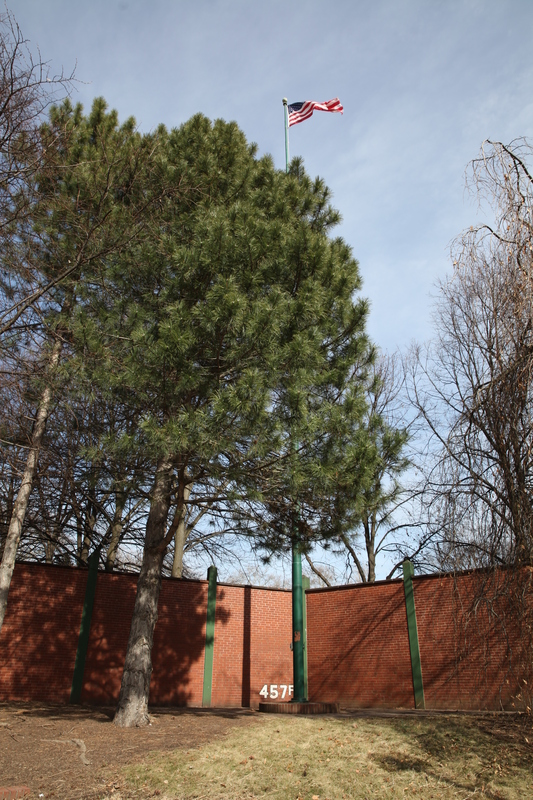 You can’t believe how many retaining walls there are in every neighborhood of the city. Thought this a good story for the Split-Second Weekly Photo Challenge although I am in a gray area as it is to be a single frame telling a story. Uh-oh. If the creator (Shane Francescut, Toronto Street Photographer and Blogger) of the challenge is grading the entries, mine will not meet the objective. 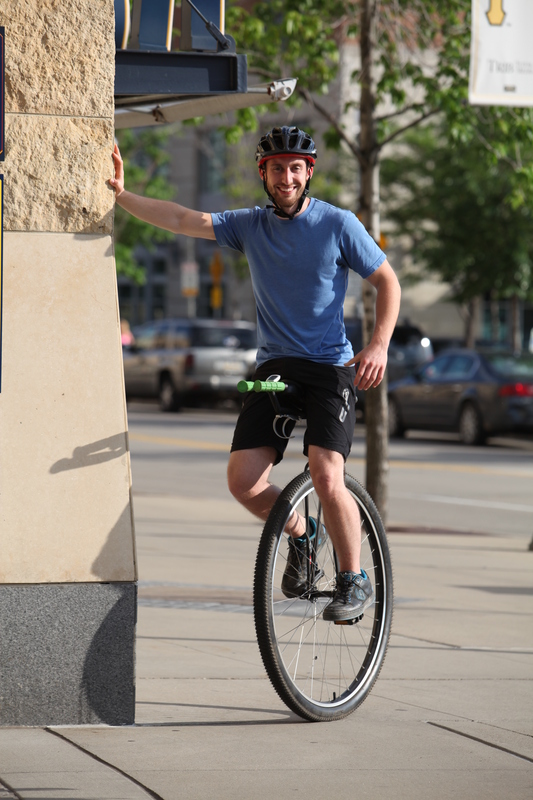 But how often are you in the company of unicyclists? 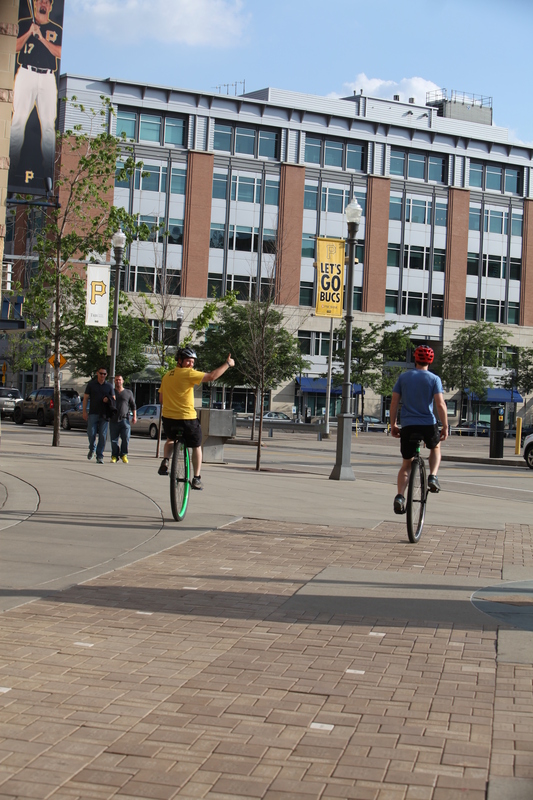 I was down at PNC Park photographing the prom goers and two nice guys drove by on unicycles. They cycled past me, and as I was photographing them from behind, the guy in the yellow shirt gave the thumbs up and looked back at me and unintentionally gave me what looked to be an “uncomfortable shot” when he lost his balance momentarily. 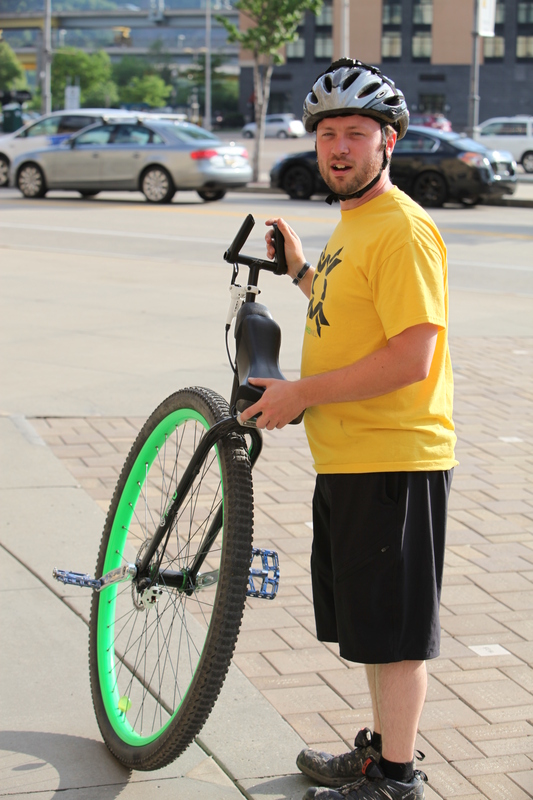 These were SERIOUS unicycles. 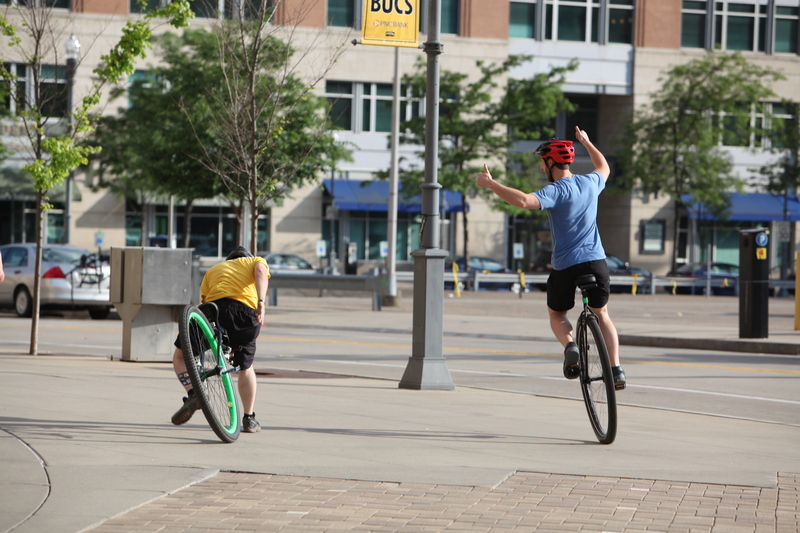 Unicyclists are well balanced they said. I asked if I could blog them and they agreed. 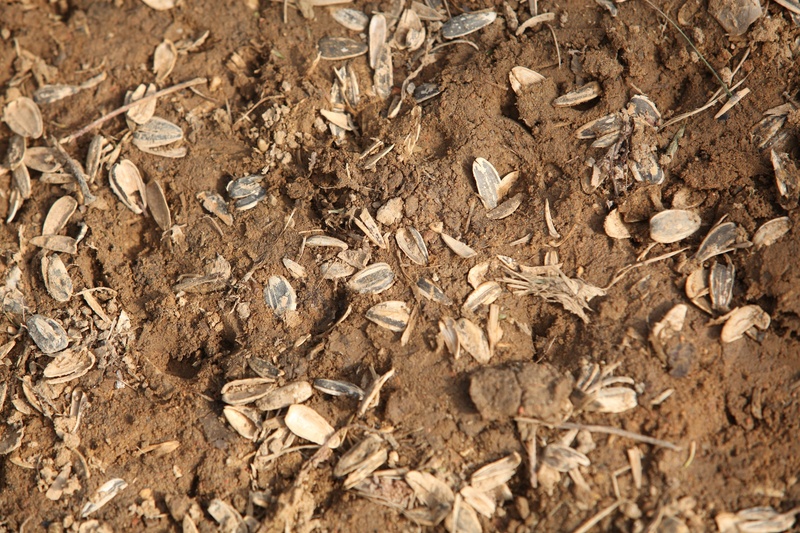 Steve on the left. Daniel on the right Ouch Thumbs up sign, all is well. 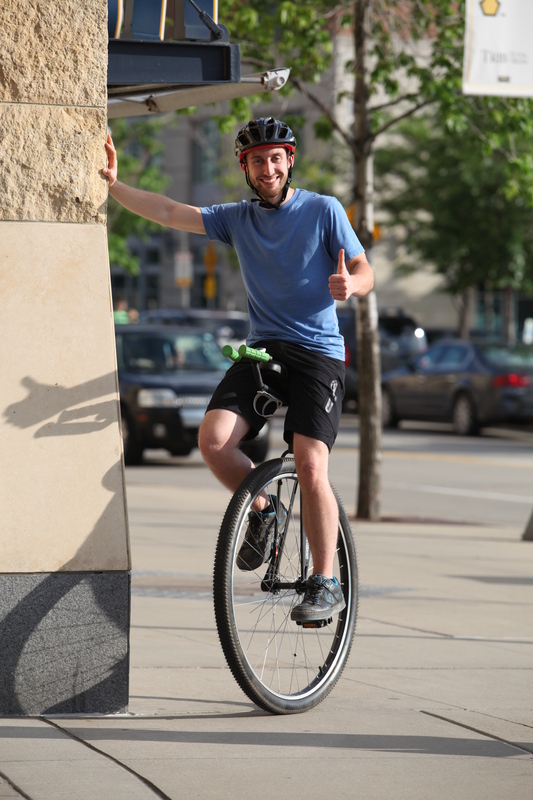 Getting back on the unicycle. Check out that tread. I was just wondering how different people get involved in different activities. I am sure I would not even be able to get on one and make it go. 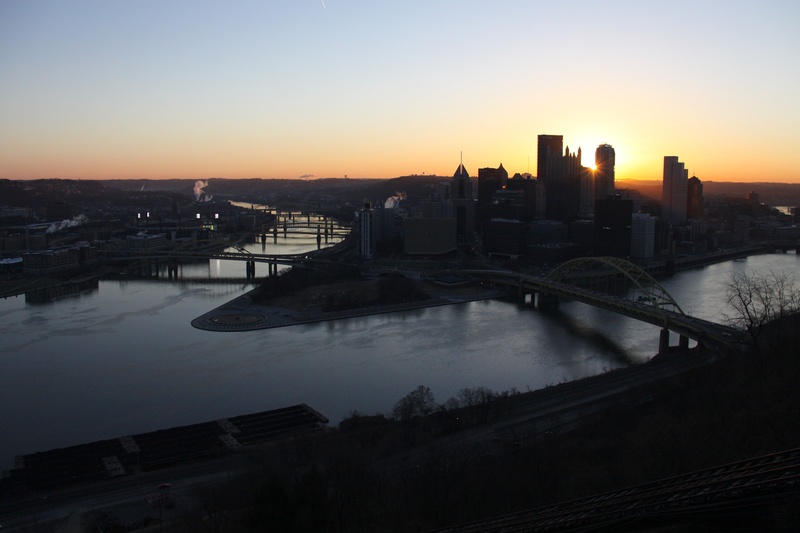 As I was driving to school, crossing the Liberty Bridge, I decided to make a right turn up McArdle Roadway to Mt. 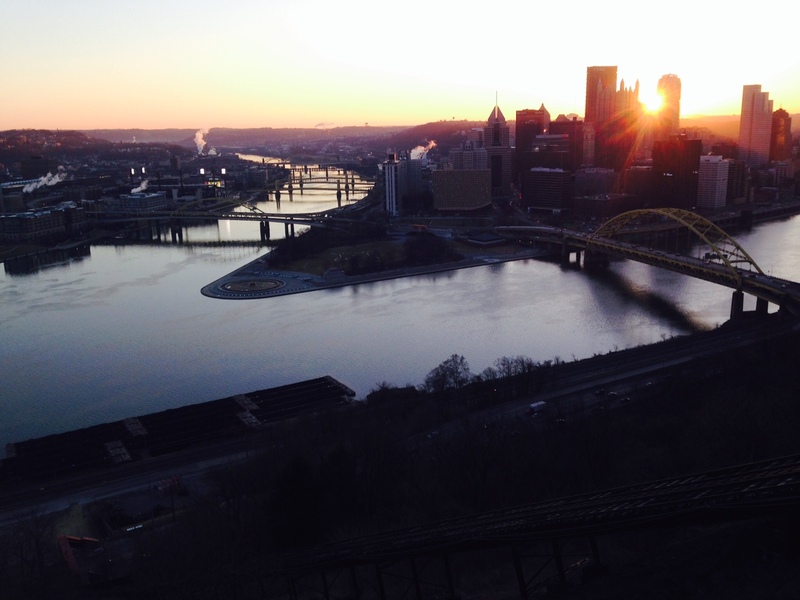 Washington and shoot the city from the Duquesne Incline Platform. Traffic didn’t seem too thick. I knew I could do it. Time tight, the light so nice and the next Opening Day would be a year away. You saw the view from inside the park on yesterday’s post. A decision, a moment, you know you’re a photographer. And as I was standing there I realized I’m witnessing the sun rising, coming up behind the buildings. It didn’t take too long. I had to wait to shoot the sun as it peeked through. Not exactly Stonehenge in NYC but a thrill just the same! PNC Park was a happy place as the Pittsburgh Pirates won in the 10th Inning. (sorry Chicago John) You can see the Ballpark lights glowing on the left hand side of the photos. 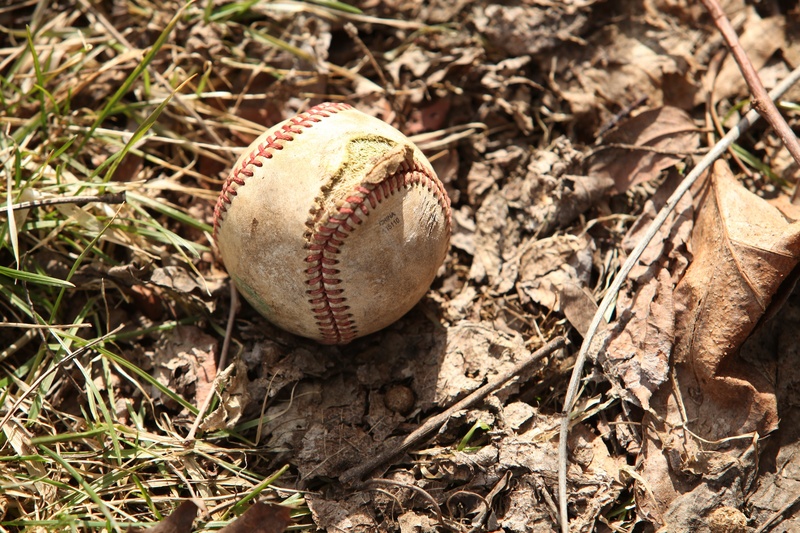 At the high school baseball game after school Monday afternoon. 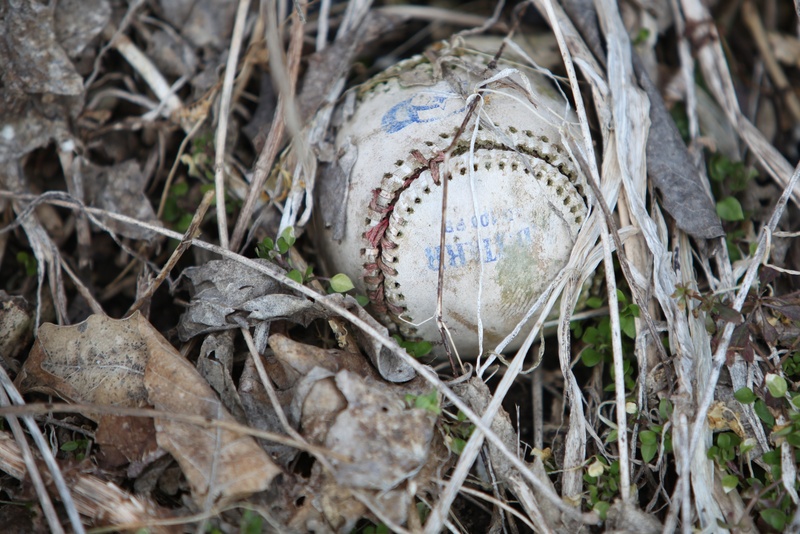 It was like an Easter Egg Hunt, all of the lost baseballs in the underbrush. The afternoon light hitting them sideways. 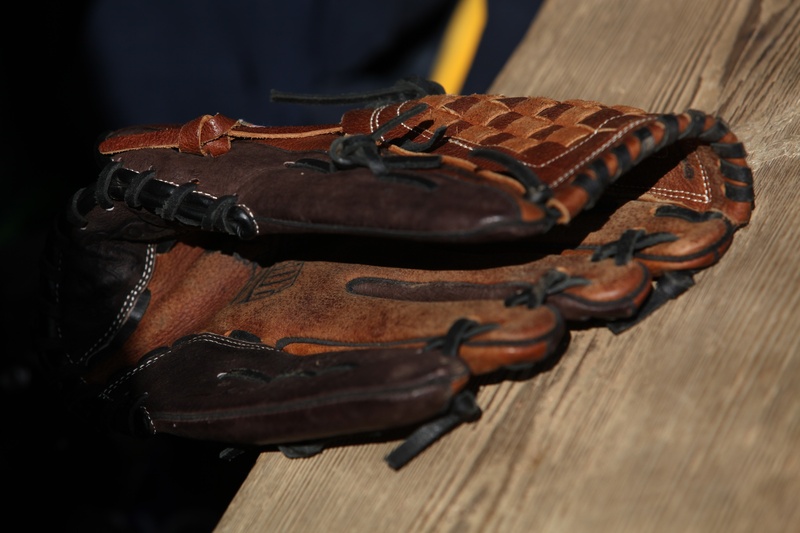 Leather baseball glove or is it a mitt, lying on the wooden bench. 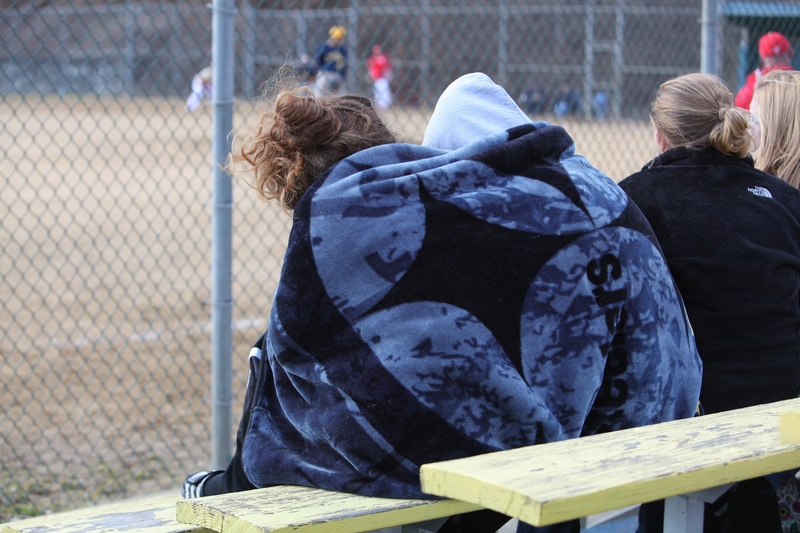 The weather felt like a football game but the fans huddled together, wrapped in a blanket. 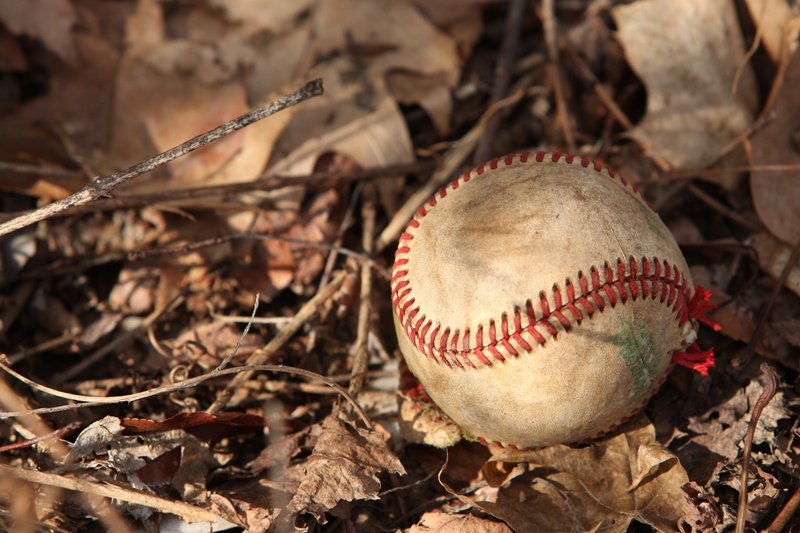 I see a bit of new green in the baseball photos amongst the dead leaves. 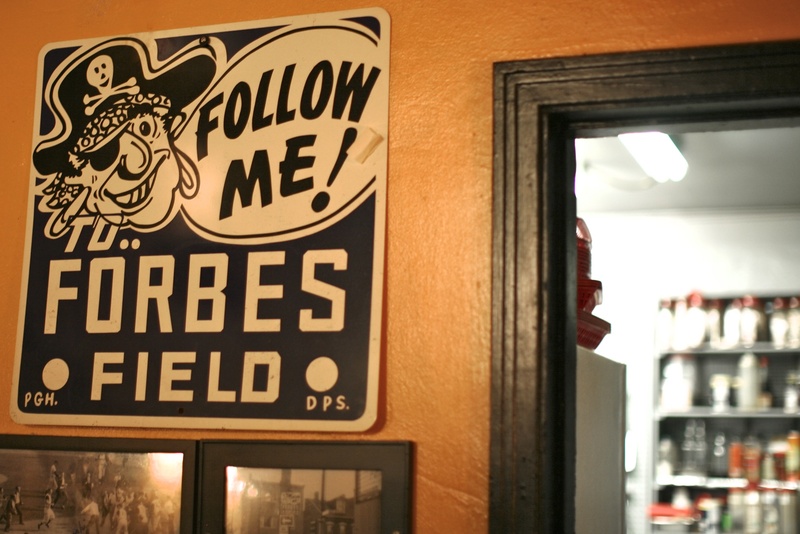 Saw this sign on the back wall behind the Cobra Kings band at Excuses on the South Side Friday night. The kitchen door is on the right, the spice rack a blur. 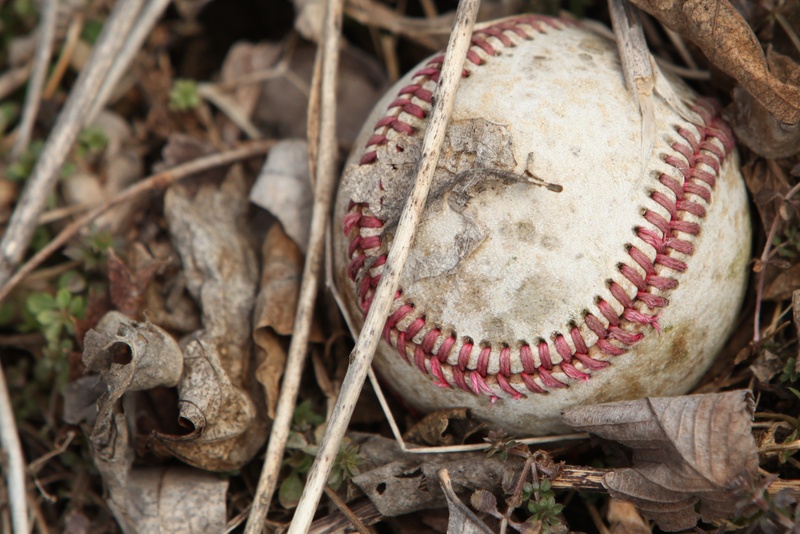 Some of you may know how Baseball in October is a big thrill in the city of Pittsburgh right now, after twenty one years without a winning season we have one now…. and then some! Another game against the St. Louis Cardinals tomorrow afternoon. On our home field of PNC Park. Everyone is hoisting the Jolly Roger flags and cheering them on. 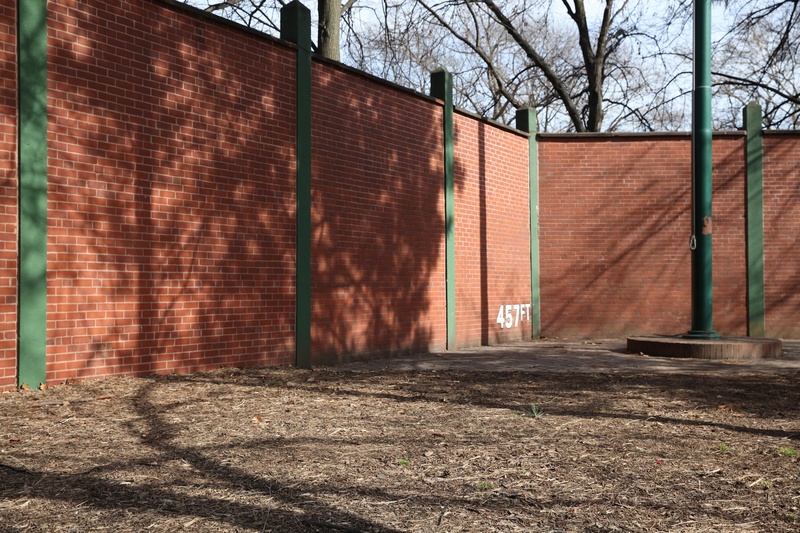 Forbes Field Forever is a website which maintains the memories although the actual field is no longer there, but the brick wall with the painted distance numerals is still in Oakland, covered with some ivy. Home plate in a U of Pitt building floor, covered with plexiglass for all to see. GO BUCS!